It’s been almost three years since more than 500 million eggs were recalled in 2010 because of an outbreak of Salmonella that caused nearly 2,000 illnesses – the largest outbreak of its kind on record. Yet under a new egg safety plan approved shortly before the recall, which involved egg production plants owned by DeCoster Egg Farms of Iowa, production facilities still are not inspected as required by the plan. In fact, it could be years before they are. 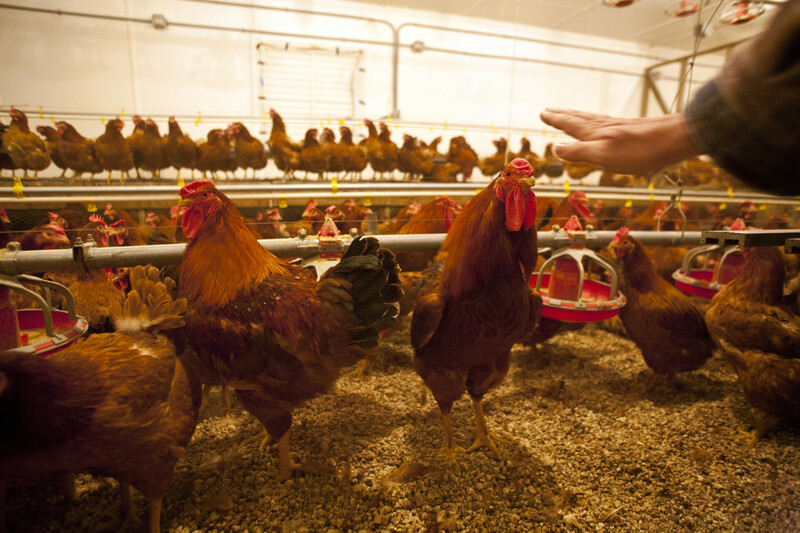 The Food and Drug Administration is one of four federal agencies that play a role in the egg and hen inspection process. The other three agencies are within the U.S. Department of Agriculture and include Agricultural Marketing Service, Animal and Plant Health Inspection Service, and Food and Safety Inspection Service. Given that a flock of laying hens is usually kept in production for two to three laying cycles, or up to 36 months at the longest, the FDA could miss an entire rotation of hens during this implementation phase. “We estimate it will take three to five additional years to complete inspections of all registered egg producers, including those farms that supply hatcheries,” said Theresa Eisenman, a spokeswoman for the FDA in an email. 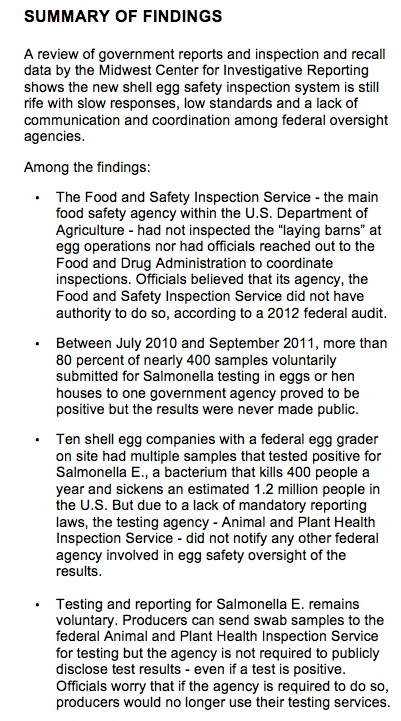 But FDA inspectors found “significant deficiencies” at 40 percent of the more than 500 facilities inspected in 2011 under the new egg safety plan, according to a final report on inspections issued July 2012. Yet, it took the Food and Drug Administration 10 years to develop an egg safety plan that was finalized in 2010 and went into effect just a month before the August egg recall. 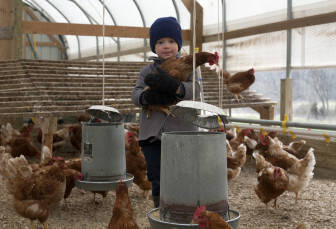 Four-year-old Marcus Miller holds one of his father's chickens at the family farm in Campbell Hill, Ill.
From September 2010 to July 2013, the FDA has issued 20 warning letters to egg production companies. Officials from the FDA are now inspecting smaller egg production facilities – or those producers with less than 50,000 hens. Also, the 2012 internal audit expressed concern with the current voluntary testing and reporting system. Producers currently can send swabs from a laying house to Animal and Plant Health Inspection Service for analysis. Companies, including Wright County Egg (see sidebar) , which have multiple citations on file, received a series of warning letters but the federal oversight agency did not seek civil penalties or criminal sanctions, nor did it seize eggs that were found to be stored at improper temperatures. The federal audit reported that FDA and USDA have worked out new agreements to better coordinate their efforts. In addition, Food and Safety Inspection Service and Agricultural Marketing Service have “developed a web based inter-agency referral report system” to improve communication. The Midwest Center for Investigative Reporting is an independent, nonprofit newsroom devoted to educating the public about crucial issues in the Midwest with a special focus on agribusiness and related topics such as government programs, environment and energy. The Iowa Center for Public Affairs Journalism-IowaWatch.org is a member of the Midwest Center for Investigative Reporting. In August 2010, Wright County Egg of Galt, Iowa, announced a nationwide voluntary recall of shell eggs. Later that month another Iowa farm owned by Wright County Egg conducted a nationwide recall as well.